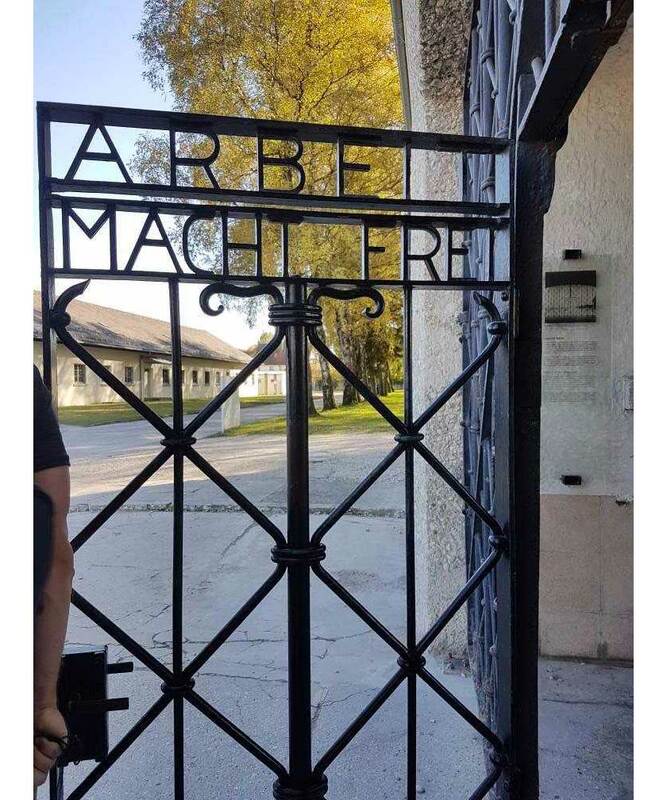 THE Dachau concentration camp was the first Nazi concentration camp opened in Germany. 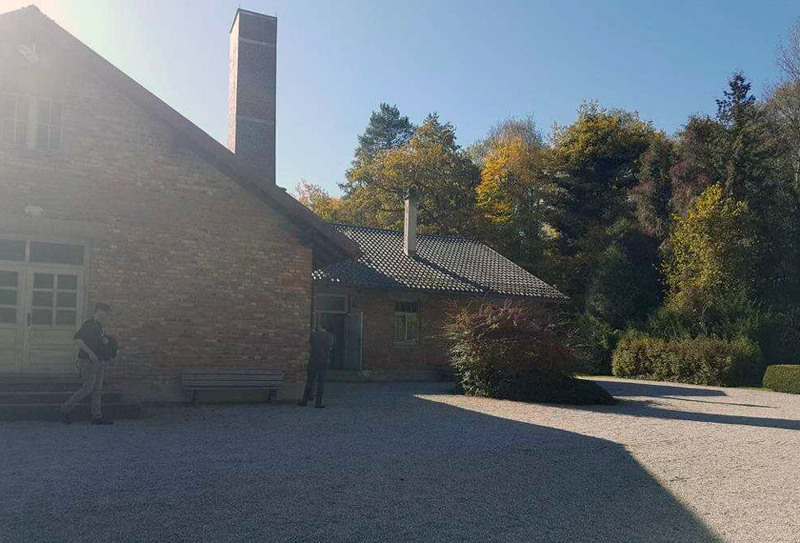 Located on the grounds of an abandoned munitions factory, the camp was opened in 1933 by Heinrich Himmler and was a central focus of the SS-training during World War 2. Today, a memorial camp exists there and regular tours are carried out at the premises that serves as a reminder of the atrocities that humankind can commit. The author toured the area and felt compelled to share her experience and learnings, from that visit. 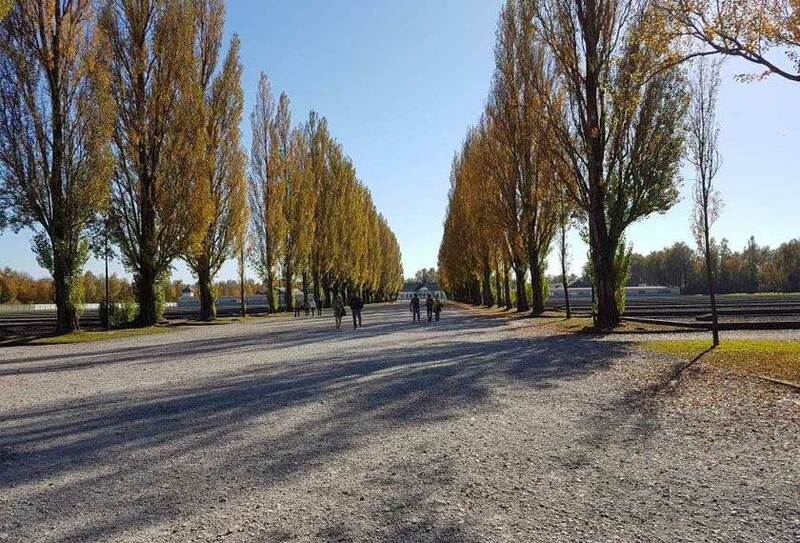 I visited Dachau on a beautiful autumn day, with browning leaves and a cool 20 degrees centigrade. The Dachau Camp Memorial tour began with an explanation of the overall grounds encompassing the camp, depicted on a diagram of the aerial map. It had been clear from the beginning that this was to be the headquarters and training grounds of Nazi work camp, a sort of training centre for trainers for the SS. Or a centre that becomes the guideline for other camps around Germany and its territories to emulate. The existence of this camp has never been a secret from public knowledge even in its early years and foundation. 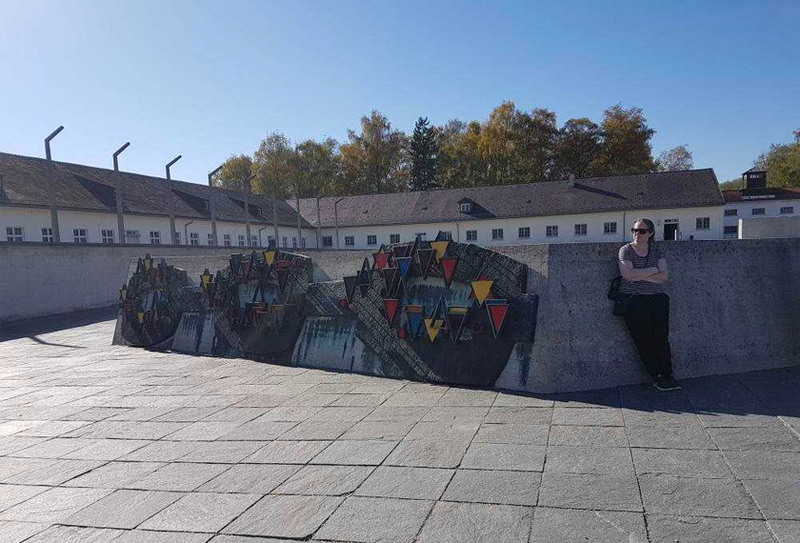 Dachau was chosen as the site for this labour camp as well as the SS training camp due to the presence of the previously abandoned armament factory, which had, until the end of World War I, been an active if not the largest economic contributor to this quiet, unassuming countryside. Its initial function was as a labour camp, focusing on incarceration and a centre of "correctional behaviour" for political oppositions of the Hitler ideologies. 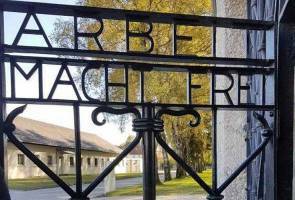 On its gates, the words "Arbett Macht Frei" or "work shall set you free" were proudly displayed. No falser propaganda has existed in the Nazi reign of rule during that time. Whether it be the smoke screen created by the Nazi party via the Münchener Illustrierte Presse which models the Dachau centre as an institute where politically misguided men were trained to become good citizens, or the public at large, turning a blind eye (or two) to the real functions of the centre, this camp stood functional for a record of 12 years. This group of men who were found to be misfits of society quickly grew in size to include other, less affectively defined (more broadly if not discriminatively) individuals. Hence the incarceration and sentence to hard labour (most often than not, to the point of death) of "professional criminals", the Romas, Jehovah's witnesses or any ardent students and practitioners of the religion, Jews, homosexuals and those loosely fit into the category of "asocials" (asocial is not similar to anti-socials, which is an entirely different topic that needs to be discussed regardless). The persecution of these men was racist and at best arbitrary. Anyone who were deemed difficult or resistant to the Nazi movement were persecuted, many more, for just being born the way they are. No matter who they are, and the background they come from, all were greeted with the worst type of humiliation as part of their welcome package. In the sorting room of sorts, they were stripped naked, forced to queue up for labeling and sorting, according to their supposed transgression and screamed at, belittled and set off to hard labour. There were daily roll calls where everyone, regardless of wellbeing, age and the weather outside, were made to stand in the court yard for hours on end. If there were any cases of attempted escape, they were made to stand longer. Anything could possibly be a transgression, punishable by any means. Late for roll call? One could get a beating. Helped a sick fellow inmate? Extra time standing in the cold, or perhaps have dogs set upon you. In the initial years of the 12 that Dachau was in business, the number of inmates were significantly less than the SS officials. Subsequently, a certain elite, "functional inmates" were put to use as officials to help run the camp. These so deemed functional inmates, were in fact, quite the opposite. Usually the most psychopathic of all inmates, one particular inmate was described by others as particularly blood-thirsty. He would call upon random nighttime roll calls, setting his dogs upon the inmates around the compound. The latter running to a point of exhaustion or be at the mercy of the hounds. The camp also has barracks of solitary confinement rooms, too small for a grown man to fully stretch out lying or standing. There were kept alone for weeks on end, fed only on every fourth day on some occasions. Then there were the gruesome wee hours of the morning execution by firing squad, just beyond their walls. Such were the treatment for some of the more "defiant" political oppositions of the regime. As arbitrary as their incarceration had been, so were their release. Most had perished due to overworking, diseases, famine, execution and the occasional trial run of the gas chamber prototype. On some occasions, be it New Year or any other local holidays, some would be set free. There were no discernible system or set of laws to determine who gets out and who doesn't. With these types of uncertainty, it isn't surprising that some sought the suicidal way out. Stepping on to the grass area, surrounding the inner part of the camp's barbed wire and electrified gates were considered an act of attempted escape which were, of course, punishable by death. An immediate headshot would ensue from any of the surrounding watch towers. Our tour headed off to another, more peaceful looking area of the camp. Such serenity belied the true nature of the said set of buildings. We were brought to the crematorium which, conveniently also acts as a gas chamber test site. The inmates would be lead to a changing room area where their clothes would have been fumigated to cleanse it of parasites using the very same poisonous gas used in the lethal gas chamber. They would then be lured into a room with shower heads under the pretext of being given baths, when in fact, it was a gas chamber, emitting the deathly poison. Such was the function of the room designated "Barrack X". However, hitherto, there are no credible evidence that any prisoner was executed this way. At least not in the Dachau camp. It was a test site and remained true to its nature. For now. What actually happened, proven by documented evidence, were more of the deceased (by unnaturally natural cause of death) and the executed (via hanging or firing squad) being cremated en masse in the large multi-bodied ovens of the new crematorium. Their ashes were then scattered among the woods behind the camp. Towards the final months of the camp's reign, hundreds more bodies where sent there to be cremated from the surrounding sub-camps. Despite the fact that the camp has never been surrounded by more occupants than it is currently, it is hard to dismiss noticing a large area of your neighbourhood cordoned off, where carriages of train cars drop off groups of men to walk into its gates. Harder still to dismiss the continuous puffs smoke or the smell of burning flesh and hair of the deceased in the air. The tour rounded up to an end amongst an exhibition of art and sculpture dedicated to the memories of those lost to us all here, at the camp. It was jarring and interesting to note that even in the post-World War II, albeit non-contemporary depiction of art and commemoration of the past, some groups of inmates were not represented. Pictured, a sculpture sans the patches used to label and categorise the homosexuals, the so-called professional criminals and the asocials. An inkling of worry took root. Is this a sign of past lessons about discrimination, racism and blindly labeling our own, not learnt? As I look around, I found comfort in knowing that the Germans, at least, do not shy from trying their best to learn from the past. Around me, many school-going children were going through the same guided tour as we were, as a part of their school field trip. I could not help but be reminded of how many other nations' history lessons that were burnished to be more palatable to the younger generation but run a high risk of making lessons not well learnt. Or worse still, teaching them the wrong idea about our past. With so many triggered nations, some rich with strife or abundant with disenfranchised youths, it is not an unrooted fear to imagine the past repeating itself. The chill I felt could've been the breeze of the late München afternoon, but the artistic side of me preferred to think it was the souls resting amongst the trees, reaching out to remind us to never forget the past. To learn and not let history repeat itself. * Mastura Rosly is a psychiatric trainee with the Malaysian Health Ministry. Her work includes mental health advocacy and community improvements in psychiatric care. ** The views and opinions expressed in this article are those of the author and do not necessarily reflect Astro AWANI's.